Russia intends to retain the title of the world's top wheat exporter in the new agricultural year, start meat deliveries to China and sell soy to Japan. 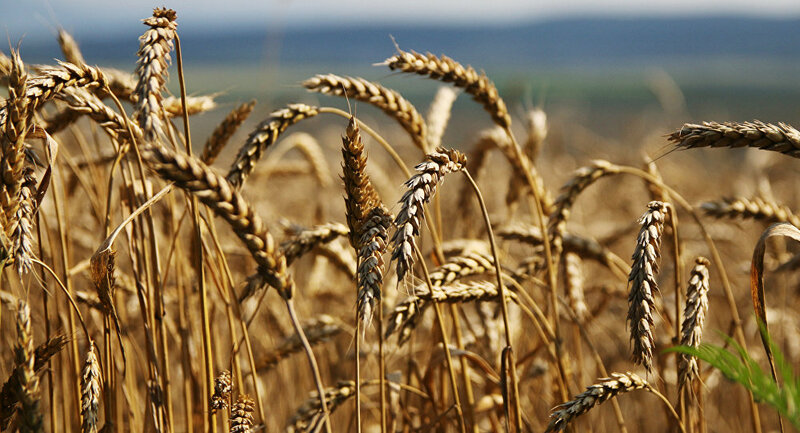 SHANGHAI (Sputnik) – Russia plans to hold the title of the world’s leading exporter of wheat in the new agricultural year, exporting 25 million tons of wheat, Russian Agriculture Minister Alexander Tkachev said Thursday. “We have actually become the leaders by passing both Canada and America. Of course, we plan to hold the first place [in the new agricultural year] with almost 25 million tons of wheat exports. Markets, both new and old, are opening for us. Of course, this is traditionally the Chinese market and we’re currently working on that. This is of course both Japan and South Korea, as well as the countries of North America, the Arab world, and the Persian Gulf,” Tkachev told journalists at the SIAL China exhibition in Shanghai. China’s market for Russian poultry meat deliveries may open before the end of June of this year and for Russian beef imports in the second half of the year, Tkachev said. Russia is working on the issue of exporting soy and wheat to Japan, he said. “So far we have corn exports to Japan, and I think there will be interest in soy and of course wheat. We’re working on this issue,” the minister told journalists.